Heat some oil in a wok and stir-fry the chicken for about 5 min. 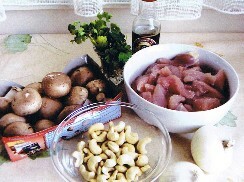 Add the onion, mushrooms, cashews and stir-fry for 5 more min. 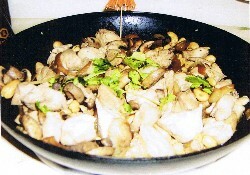 Stir in coriander and Soy sauce. Serve with Jasmine rice or noodles " al dente ".